Sometimes all we need is a slight push to bring significant changes in our lives. In my case, a two-hour lecture on raising readers broke my bookstore, TV and bedtime habits in a flash. 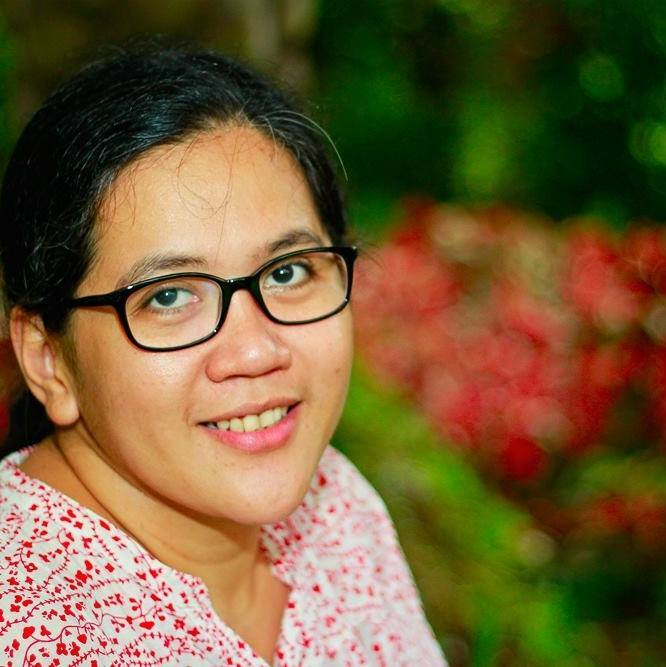 Big thanks to Mommies Mariel and Sanne of The Learning Basket for providing that slight but totally inspiring push to all the parents who attended the Raising Readers lecture last June 15. A few weeks after that learning basket gig at Medela House, here are my first attempts on becoming a better (MOM)me and raising a bookworm. I plan to blog about our journey so I’m reserving my other insights on our Project Raise A Reader soon. One of Sanne’s recommendations was for parents to spend at least 20 minutes everyday reading to their children. I have seen my son sit through Mater’s Tall Tales for at least an hour. Can he endure a 20-minute reading time even without Mater’s tricks and misadventures? What if we start building the daily routine by reading bedtime books? We tried and it worked! 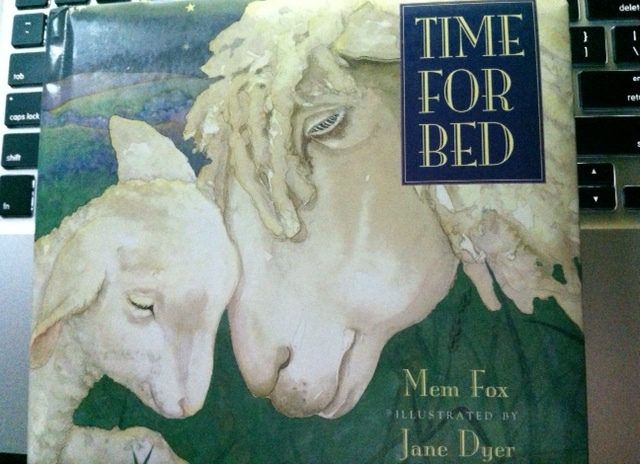 Take a peek at our first bedtime books. 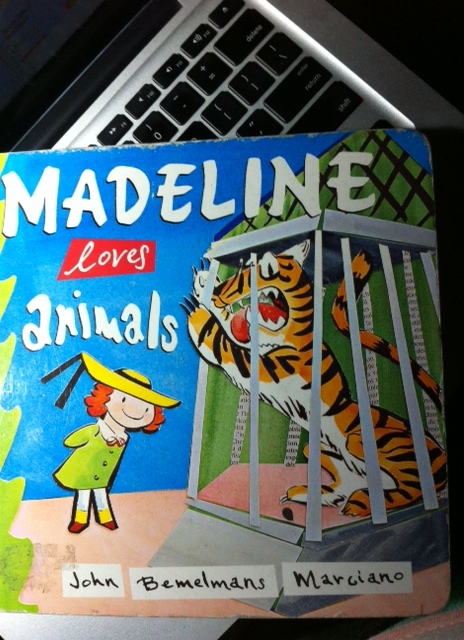 This is Rio’s first Madeline book. We were lucky to find this classic in a Book Sale branch in Robinson’s Ermita. A few days after the lecture, I literally pulled my husband inside the bookstall, asked him to dive into the books and look for bedtime books. It was one of the best Book Sale moments I had in years. Better than those times when I got Vonnegut’s Cat’s Cradle and Barbara Ehrenreich’s Nickel and Dimed. 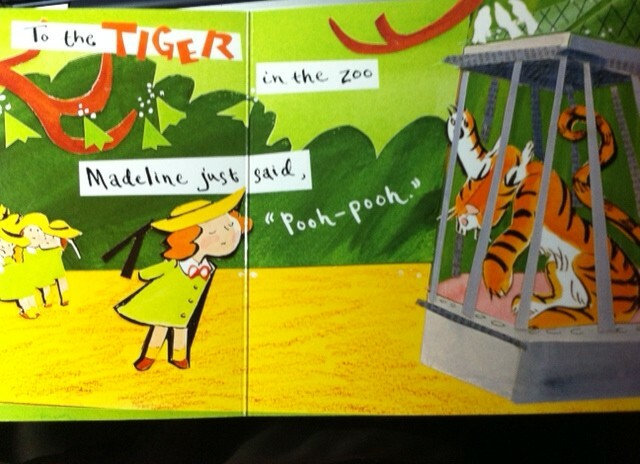 Hearing Rio roar as I we come across Madeline’s encounter with the tiger in the zoo is truly priceless. I also get to practice my birit skills, inspired by Teacher Jeannie of Kindermusik, as I sing “Fly, fly, fly the butterfly.." after we read this line on the book’s first page. Madeline said, "Good morning, butterfly!" as he flap-flap fluttered by. This is another Book Sale treasure we found on that lucky day at the mall. 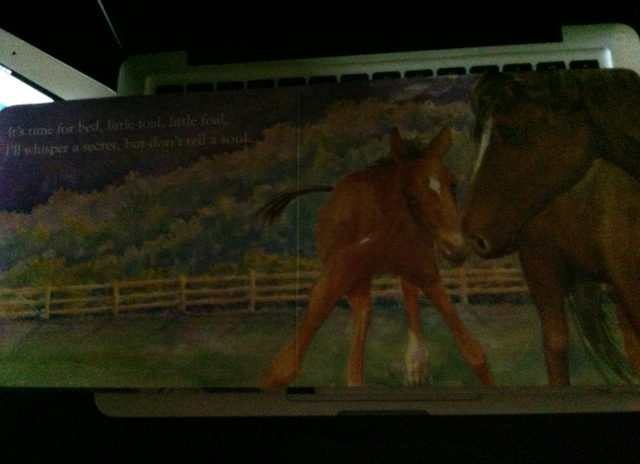 When I picked up the book and read the lines silently, I knew it would be a big bedtime hit with Rio. I was so right. Rio easily identified with the different baby animals being put to sleep by their mothers. I even tried my own line : It’s time to sleep, little Rio, little Rio. Tomorrow's another day to play with Pocoyo! We have been successful in our first attempts to establish our bedtime reading habit. After wash time, I join Rio on the bed and start reading our favorite bedtime books. There was even a night when I almost lost my voice after reading ten books ( with a little singing on the side, too)! Do you have a toddler too? How do you raise him/her to be a reader? Let’s exchange notes and book finds too. I highly recommend the Raising Readers series of Learning Basket. They have another schedule this July 6. Check it out here. I also bought the newest issue of Smart Parenting (July) and they have articles on raising readers and a list of books for different ages. Grabbing a copy may jumpstart your own raising readers project. Hi Nadia! :) You can check out the wonderful books on The Learning Basket's Facebook page too, for great titles, including the original Madeline series! :) I'm sure Rio will enjoy them. :) God bless! Loving the new look of your blog! anyways, PAGBASA din ang isa sa gusto ko matutunan ng anak ko. But i just wonder, hubby and i are not really much of a bookworm! I guess it will really help kung talagang makikita ni baby na nagbabasa kami mismo, para ma-curious din sya at magsimula nang magbasa! We're still on starting stage doon sa bedtime reading. Thanks for sharing your books, i'll probably look for these books! 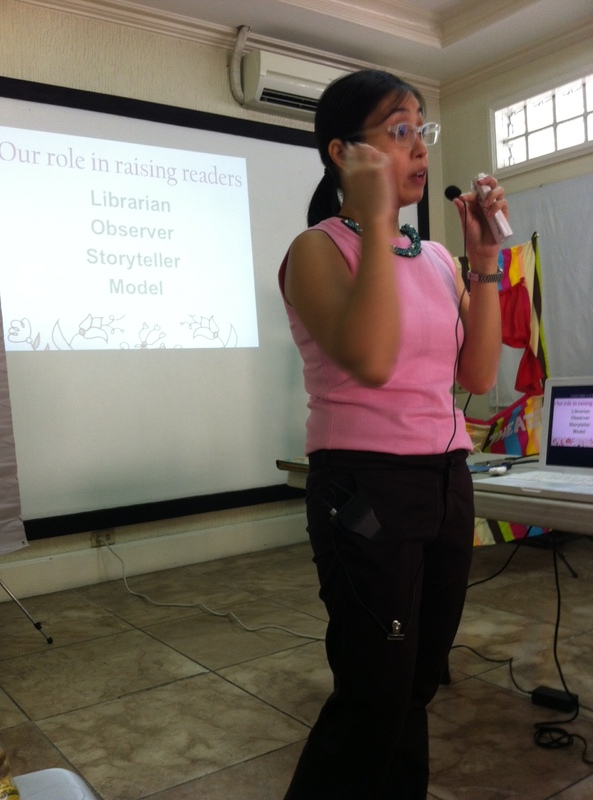 Yes,parents have to be models in reading. Kaya besides reading time with your kids,best na parents also read a 'real' book (not ebooks in a tablet or any gadget) or kahit newspapers,mags para makita nila na their parents spend time reading. Marami akong backlog posts sa Project Raise A Reader ko. I'll try to post asap. Hey madz, been reading your recent posts in your blog. Bet na bet ko ang raise a reader mode na ito. Will keep your inputs in mind para kay bambam. Madz! Salamat sa pagbabasa! I'm so happy napapadaan ka rito. We're starting to build our collection of Filipino books. Kanina napatulog ko si Rio sa kuwento ng Ibong Adarna. But your inaanak still adores Thomas and Lightning Mcqueen! Hehe.